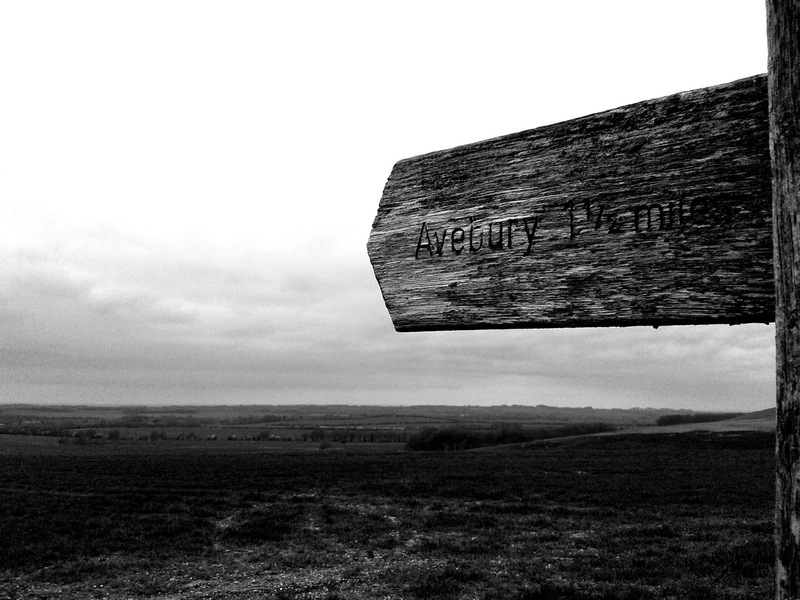 It was cold and dull, yet beautiful, up on The Ridgeway at Avebury. The grey sky loomed down with no hint of sunshine. A runner passed by battling the uneven terrain. Walkers and their dogs were aplenty - the latter all well behaved giving the boy little to worry about. A picnic was consumed with freezing pink fingers. And a bar of chocolate helped to fuel our walk back to the village. Gorgeous view and love the way the black and white makes it so atmospheric.